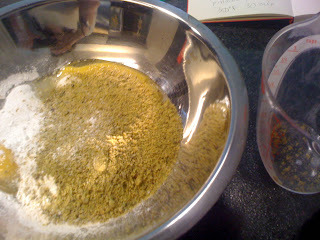 The thing about pistachio flour is that it makes everything so wonderfully chewy and amazing. I looked and looked for a recipe with ground up pistachios in the brownies, but found nothing. I also may have been impulsive and added too much almond extract (which I have reduced for you in this recipe). But all in all, these are yummy and fast and easy and you can make them for yourself and I promise I won't tell anyone you ate the whole batch in one sitting. Pre-heat oven to 350 degrees F. Bring a pot of water to a simmer on the stove. 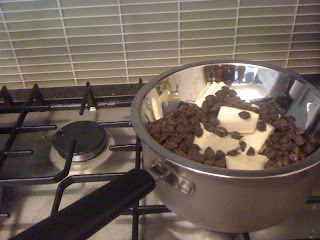 Take a heat-proof bowl and add the chocolate and butter to it. Mix until smooth and silky and the butter has completely melted. Remove from heat. Mix all of the other ingredients together in a bowl. Super quick, you can even use a whisk if you want. 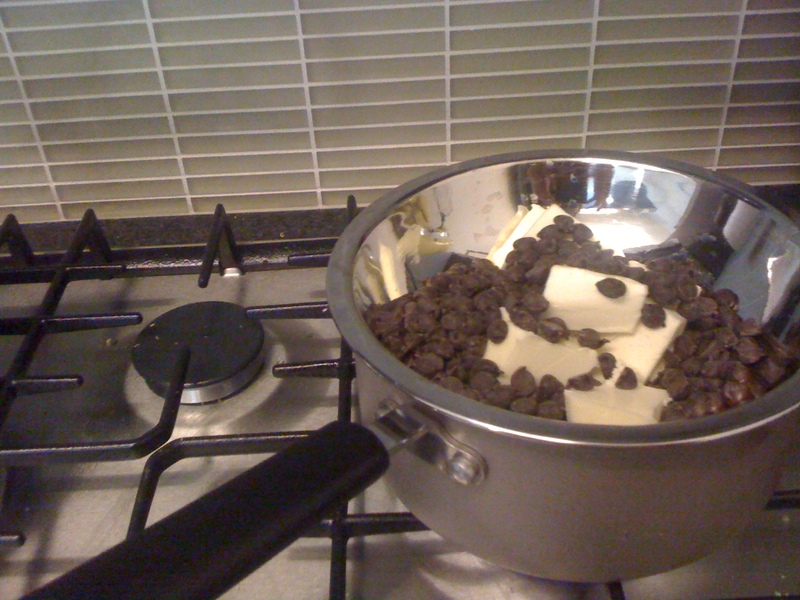 Then fold in the chocolate batter. Make sure the two mixtures are really combined well, you don't want to see any green pistachio. 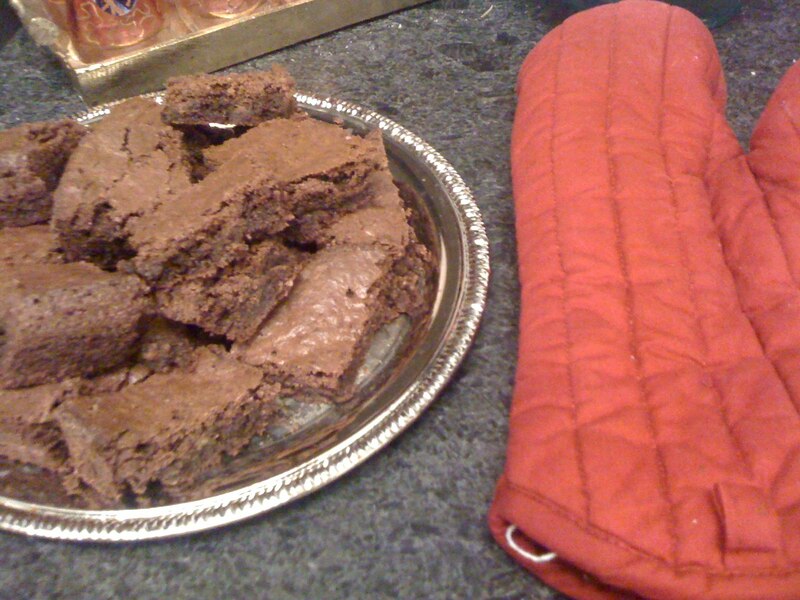 Bake for 40 minutes in any kind of shallow pan. You can either line the pan with parchment paper or butter spray it. The toothpick will never come out completely clean. That's ok, let cool for at least 10-15 minutes. Eat.